The Weinstein Company is currently wrangling with how it can come out of the Harvey Weinstein sexual assault scandal intact, but it’s starting to look more and more likely that the production company might not make it out of this at all. Last week, a private equity firm’s plan to buy The Weinstein Company fell through, supposedly because there’s more “disorder” at the troubled studio than it seemed, and before that both Amazon and Apple canned Weinstein Company projects. Now, The Hollywood Reporter says The Weinstein Company has pulled two movies from its November release schedule, meaning it no longer has any films coming out for the rest of the year. 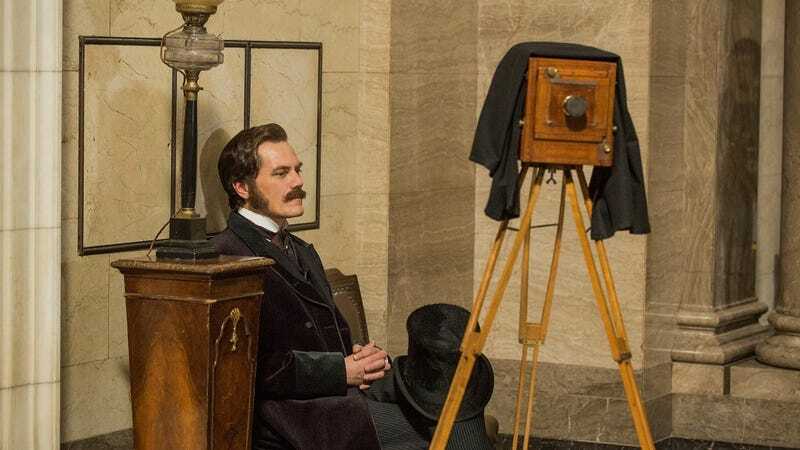 The movies in question are The Current War, which stars Benedict Cumberbatch as Thomas Edison and Michael Shannon as George Westinghouse, and Polaroid, a horror movie about an evil camera that can instantly print out photos using very expensive film cartridges. The studio apparently had high hopes for The Current War, but THR’s “insiders” say it “would have been impossible” to release it while this scandal is still going on. Over the last month, The Weinstein Company started scrubbing Harvey Weinstein’s name from the credits of TV projects he worked on, and last week the company even began to remove its own name from the home video releases of some recent films. The Current War and Polaroid have been bumped into 2018, but it’s too early to say if they’ll still feature the Weinstein name whenever they’re released.